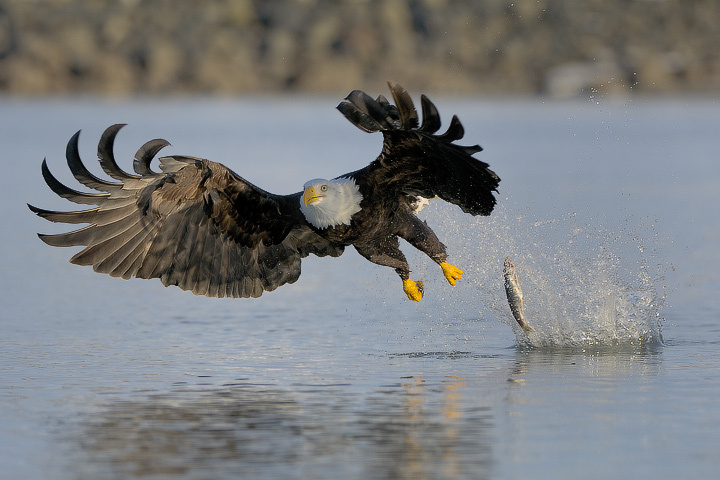 I won`t exaggerate but this photo is sensational, the dropped fish , wing position, lighting and detail are superb.Thanks for sharing, really inspirational gallery. fantastic shoot, fantastic serie, fantastic duo between the D2 and the 200! I can totally see the "d'oh!" on the eagle's face! Wonderful capture! Great shot -- perfect timing - V!